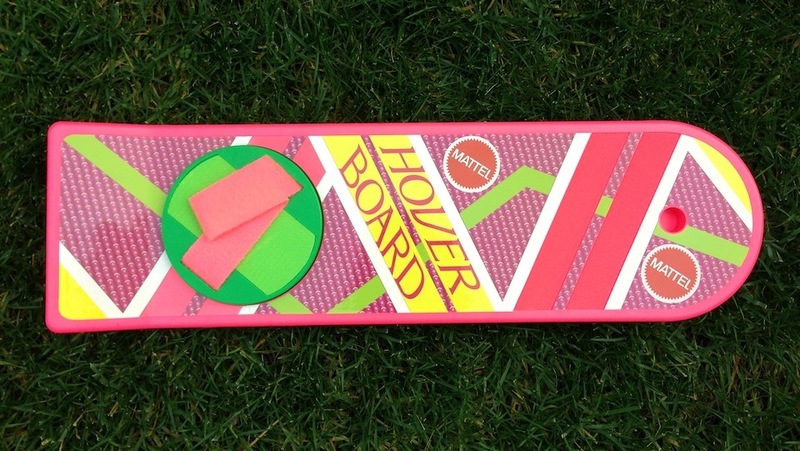 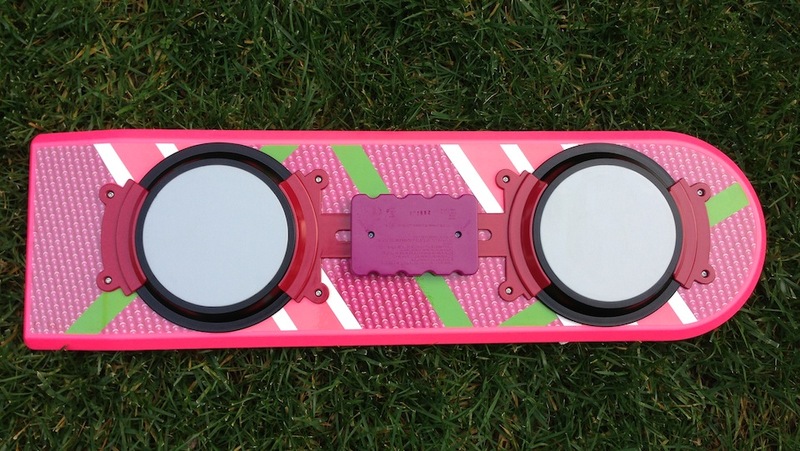 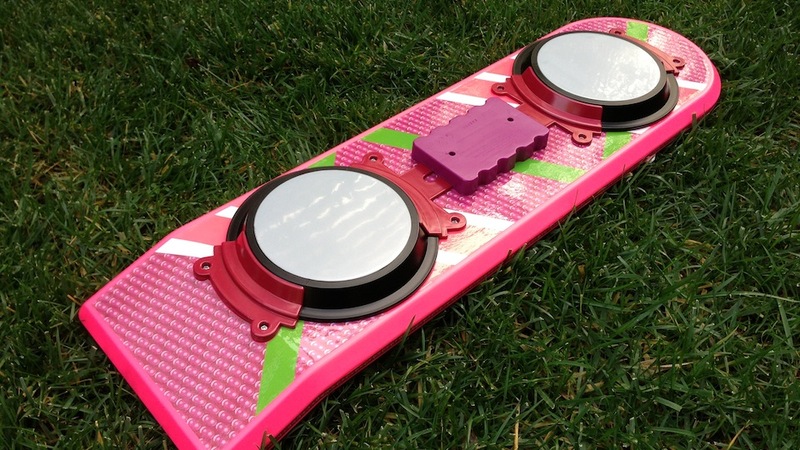 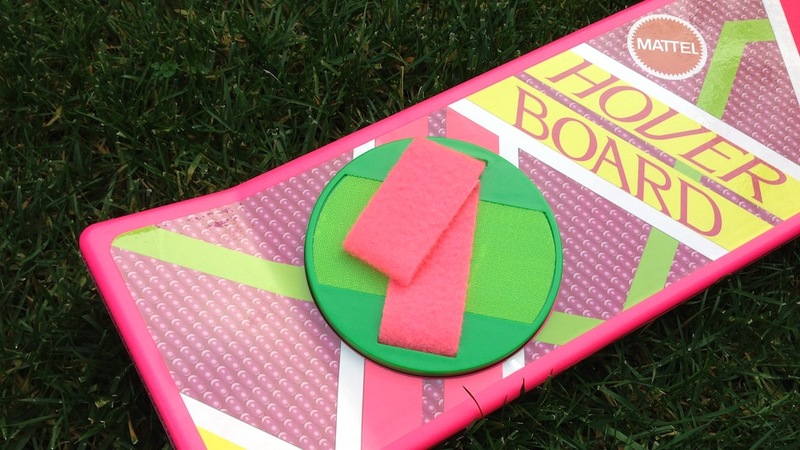 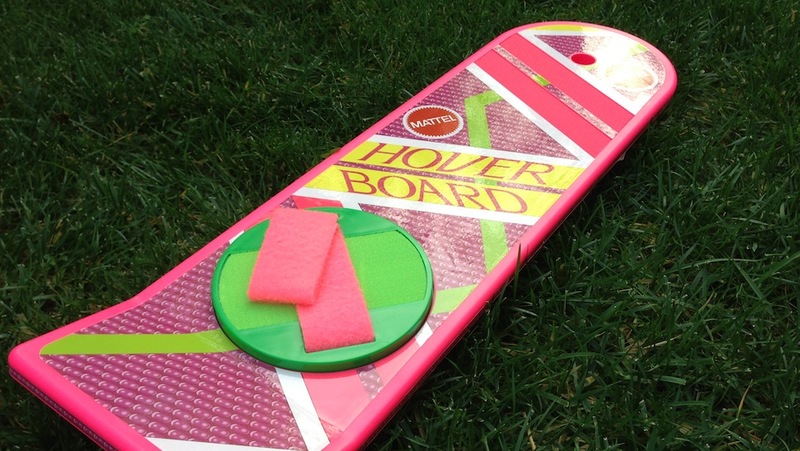 The official Mattel Back to the Future hoverboard is here, and it looks exactly like it did in Back to the Future II: happy neon pink retro future glory. 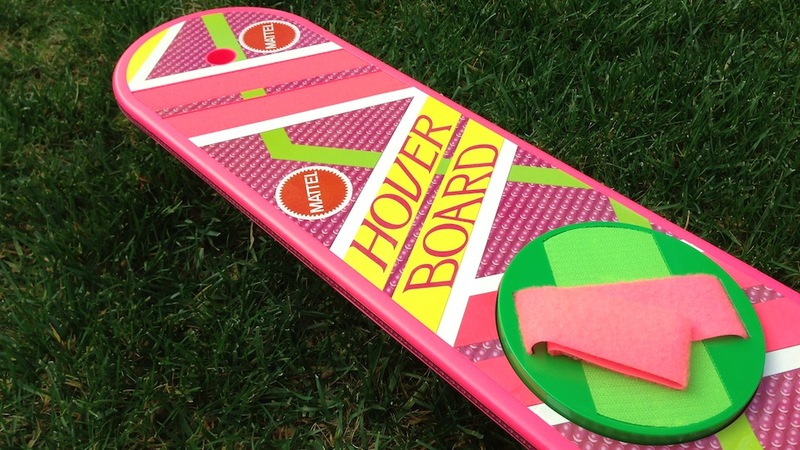 All the details are there — the hole where Marty ripped off the pole, the foot strap and the graphics — but it doesn't actually hover. 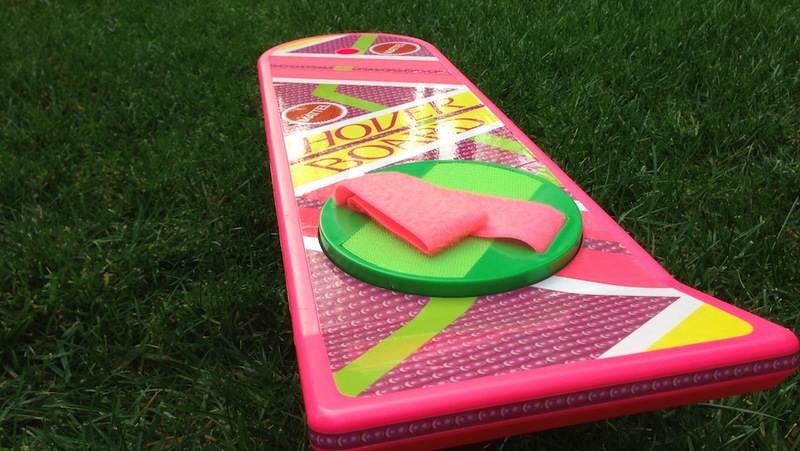 No matter, this is your childhood dreams in a toy.